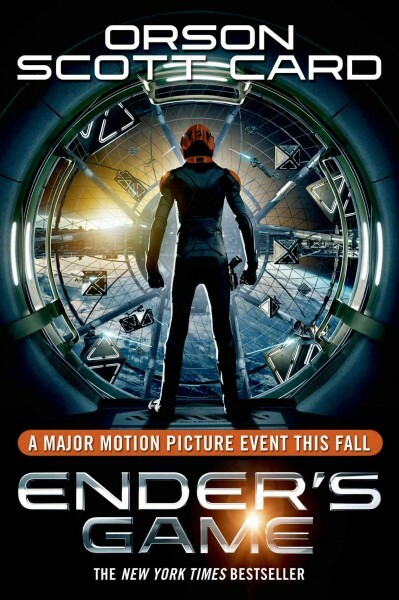 Ender’s Game premieres tonight at the Strand! The weather may be frightful tonight, but I hope that doesn’t keep you away for attending the premiere of “Ender’s Game” at the Strand Theatre tonight. Hundreds of Delaware County District Library customers and Delaware City Schools students, teachers, and staff have read this fascinating novel sent in the future, as part of our collaborative community wide read, DelawaREADS. As the final program in this well-attended community wide read, Kara Long of the Strand has arranged a premiere showing of the film that won’t be in other theaters until tomorrow. The movie starts at 8:00 p.m. (after Trick or Treating) and stars Harrison Ford, Asa Butterfield, Viola Davis, Abigail Breslin and Ben Kingsley. A brief synopsis of the movie: The International Military seek out a leader who can save the human race from an alien attack. Ender Wiggin, a brilliant young mind, is recruited and trained to lead his fellow soldiers into a battle that will determine the future of Earth. I hope you’ll join me tonight for this exciting DelawaREADS event! Did you know that DCDL has a YouTube channel? We post some pretty awesome stuff on it… including these Mr. George VLOGS posts. Every so often, Mr. George The Librarian shares some knowledge with us and it goes up on our YouTube channel and children’s blog at http://www.delawarelibrary.org/children. You will also see some of the videos posted on the Library’s web site, too. And of course, you can always log on to YouTube and search “Delaware County District Library” to view our posts. This is part of the DelawaREADS series of programs, so be sure you’ve got someone who knows a thing or two about SciFi on your team to score big! You supply the appetizers and beverages; we supply the questions and the fun. And tickets for the movie “Ender’s Game” premiere showing on October 31, 2013 at 8:00 p.m. go on sale today at 5:30 p.m. at the Strand Theatre. Get yours today!